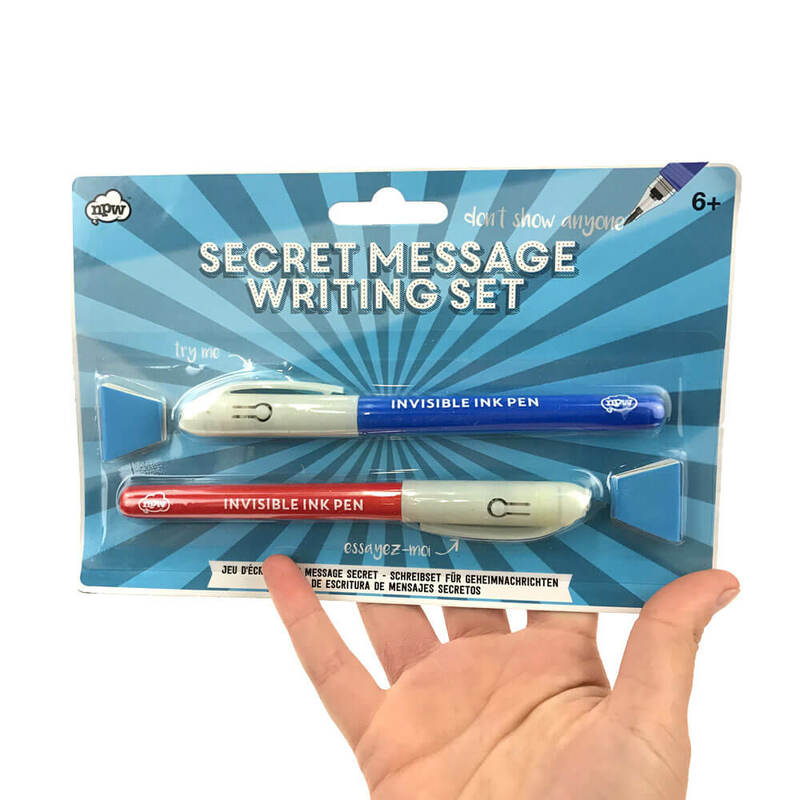 Secret Message Pen Set | For your eyes only! Contains ultra-violet compounds to make words invisible. Your Secret Message Pens contain super special, ultra-violet compounds that make your secret messages completely invisible under normal, everyday light. Wow! 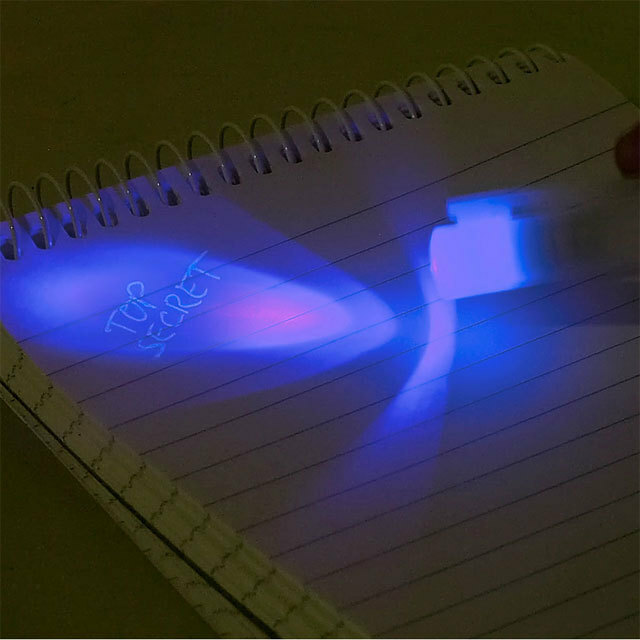 So if you're a tad security conscious, these invisible ink pens will help you to protect your private diary entries which can only be revealed by the beam of your UV Black Light! In the cap of your pens you will find your powerful UV Light which causes the particles in your ink to become fluorescent and illuminate your message! Even Harriet the Spy has her own Invisible Ink pens, so it's not just something you'll see on a James Bond flick. They're designed for sensitive information, intended for your eyes only! However, it might be an idea to write something else on your paper with regular ink. This makes it look as though it's just a note that accidentally wound up in your pocket, rather than something unusual or private! You will receive 1 x blue pen and 1 x red. Each contains a UV Black light in the cap. We purchased three of these writing sets to give away as gifts for Christmas. They were very happily received by two 6 year olds and a 10 year old who were all excited at the thought of being able to do "secret writing". I'm definitely considering purchasing more for upcoming school friends birthday gifts.